When visiting Lake Naivasha, we recommend combining your safari with a visit to Amboseli and Masai Mara. You may optionally extend out to other wilderness areas of Tsavo, Samburu or Lewa - Laikipia ending with a beach vacation and Swahili cultural tour in the exotic spice island of Zanzibar or Lamu, or even Mombasa. Proceed to the freshwater Lake Naivasha in the Great Rift Valley for the next two nights. Resting at an elevation of 1890 meters is the serene freshwater Lake Naivasha, a superb oasis to include on your exploratory holiday in Kenya. Just beyond its shores are papyrus swamps, acacia woodlands, forests and unique geologic features that are remnants of the area’s volcanic past. The nutrient-rich soil is fertilized by an abundance of water, including the Gilgil and Malewa Rivers, to create an ecosystem that is known around the world for a diverse avian presence, as well as game animals. More than 450 bird species have been identified including varied small and large mammals. 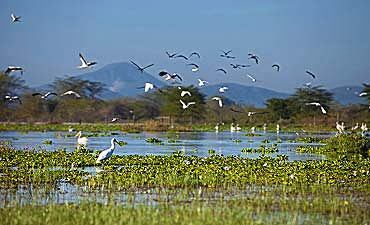 Lake Naivasha is a RAMSAR site, a designation that reflects the ecological importance of the wetlands. Lake Naivasha also gives you access to spectacular day trips to local communities and schools, flower farm visits, Elsamere Museum, Lake Elementaita, Hell’s Gate and Lake Nakuru, Crater Lake Game Sanctuary and much more! 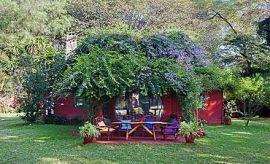 Olerai House is a mid-range, choice accommodation located on the western shore of Lake Naivasha. You find yourself surrounded by 400 acres of pristine central Kenyan bush that is designated as a wildlife sanctuary. Giraffes, monkeys, zebras, impalas, buffalos, gazelles and many other herbivores roam freely, giving you a small sample of an authentic East African rift valley safari. Choose from 5 individually themed guest rooms that reflect the heritage of Olerai House, as well as some of the owner’s favorite African animals. Bed frames constructed of vines, glass inlays, colorful wall décor, freshly cut flowers and local artwork are just some of the elements that make Olerai House a unique accommodation. The owners of the lodge welcome your children and pets so your entire family can enjoy a relaxing and enjoyable lake holiday in Kenya. The names of the intimate rooms are Twiga, Nodvu, Dudu, Saba and Cottage. 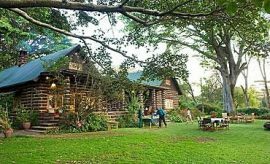 Loldia House, Chui Lodge and Hippo Point & Dodo's Tower provide our premier guests with the utmost in personalized services. Elsamere, Olerai and Kiangazi Houses affords an intimate experience. 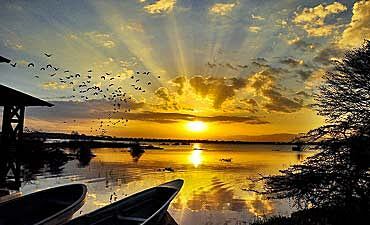 The most distinct way to see Lake Naivasha is on a boating excursion. We also recommend a bush walk so that you may have an up-close-and-personal experience with the smaller life forms. 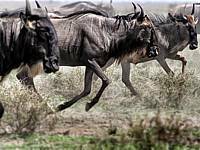 All things considered, we recommend the dry season as the best time to visit Naivasha, and also when combined with a safari to Masai Mara to view the wildebeest migration from August to October.